49th Parallel Roasters Main Street location transformed a run-down laundromat into one of the most spacious and inviting cafes in the city. Their new cafe also introduced their Lucky's Doughnuts concept bringing freshly baked doughnuts, crullers and bismarcks to the mix. 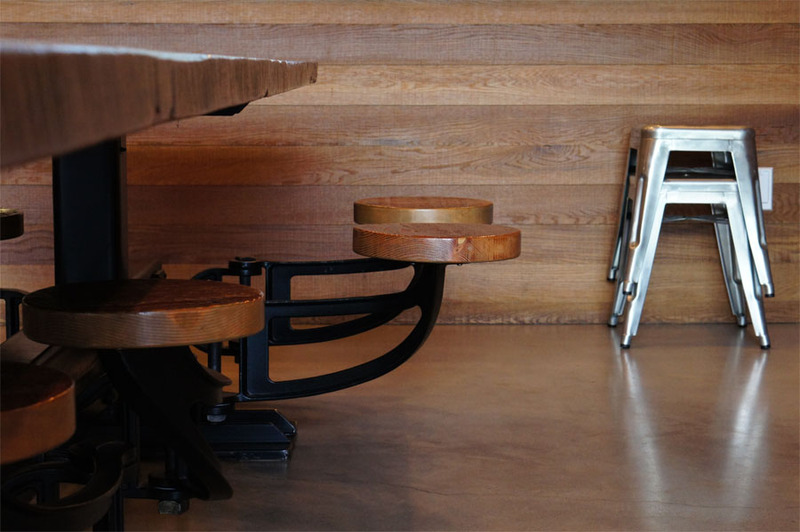 The cafe is centered by the coffee bar which is flanked on each side by ample amounts of seating including two communal tables with swing out workbench stools. 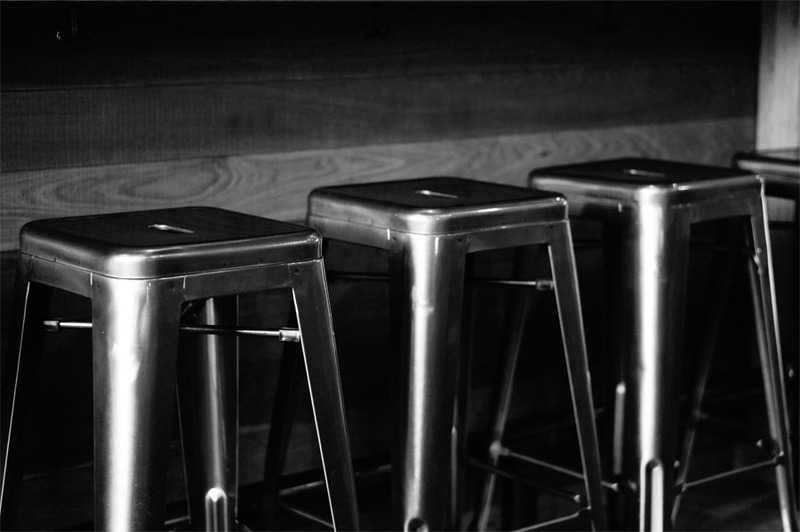 Dark brown wood table tops, natural wood panels and reclaimed red bricks from the old Woodward's anchor the space. 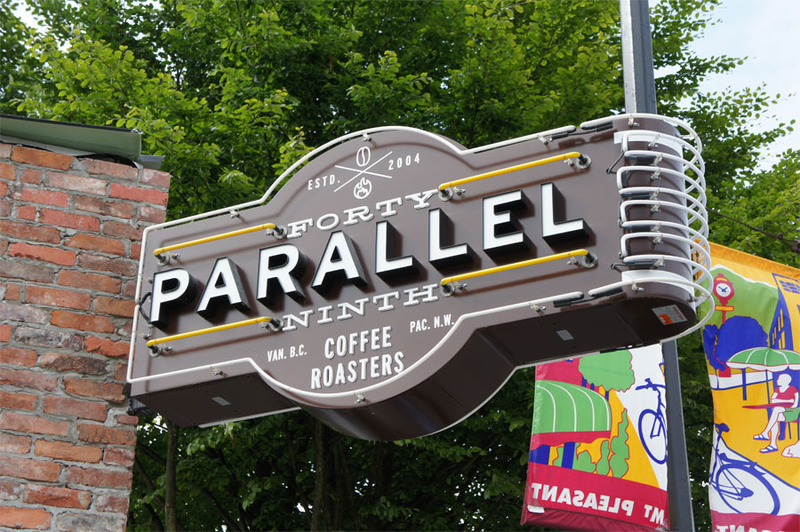 49th Parallel's Main Street cafe has a brewed "coffee of day" along with espresso drinks that get prepared on their Kees van der Westen Spirit machine from the Netherlands. They also have their own line of 49th Parallel loose leaf teas. Along with a huge selection of doughnuts, they also baked their own scones, croissants and other baked goods. Some other unique items are the beignets and their toast service with freshly baked slices of bread that come with whipped butter and their own jam prepared in house. The Piccolo brothers founded the Caffè Artigiano chain of cafes in Vancouver in 2000. After initially using beans from Intelligentsia Coffee, they decided in 2005 to open their own roastery to have more control from going to coffee bean farms to the roasting of their beans. When they sold the cafe chain in 2006, they kept their roasting business in Burnaby while also opening a cafe in Kitsilano in 2007. 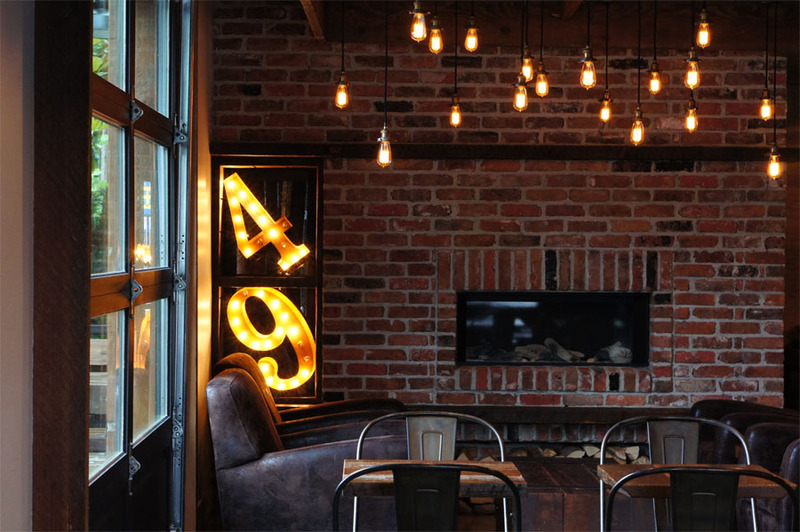 Along with supplying a number of cafes and restaurants around Vancouver, you can also find 49th Parallel Coffee Roasters' beans used in cafes across North America. Opened on June 6, 2012. "The Main Street location is now making its almond milk in-house daily by grinding raw, organic nuts with water and Medjool dates, letting the mixture rest, and then straining it through cheesecloth." The identity, design and art direction for 49th Parallel Coffee Roasters was done by Roger Dario in collaboration with Marisa Torres in 2010. This replaced their existing identity which included new packaging, logo and ceramics. "It was the coffee industry’s benefit at large when Kees opted to build an espresso machine for a graduate school thesis project. Kees was studying industrial design in his home turf, the Netherlands, when he took an interest in the sparse espresso machines that could be found in the Dutch market in the 1980s." 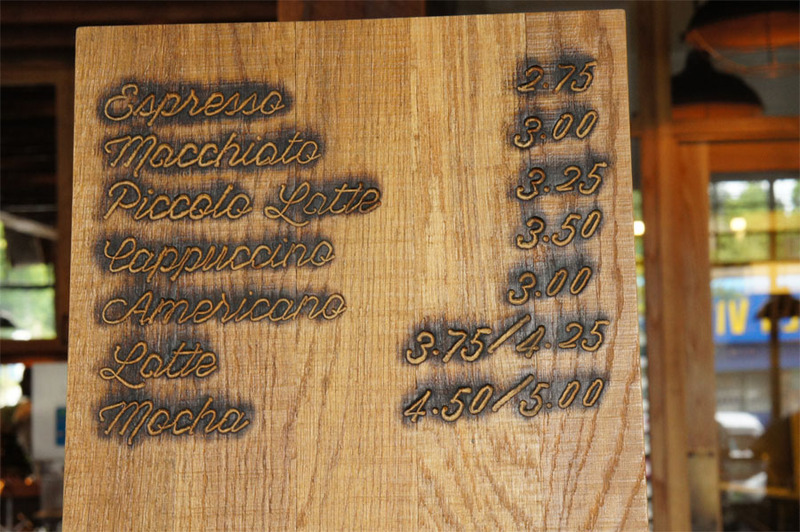 While sharing the same sur name of the owners, the "piccolo latte" on the menu is an espresso based drink that originates from Australia that is similar to a cafe latte but is smaller. Piccolo in Italian means "small" and the drink is typically served in a machiatto glass. 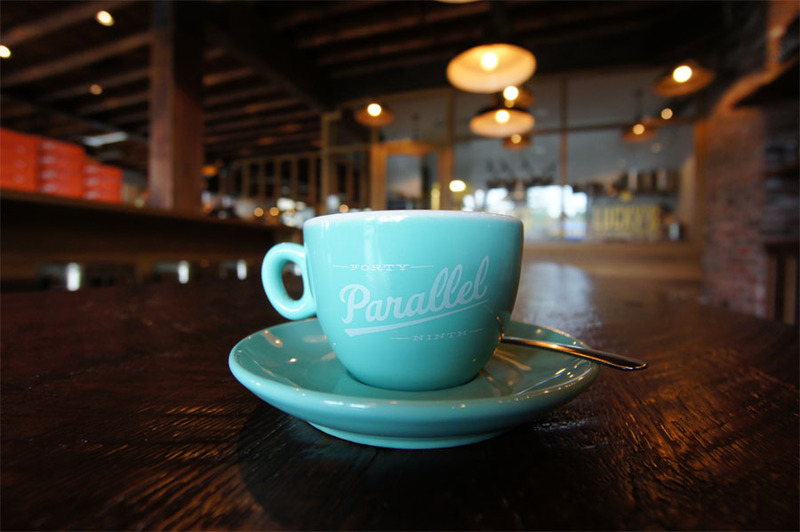 49th Parallel serves their the drink at the cafe in a specially designed 4oz ceramic cup along with a glass of water. 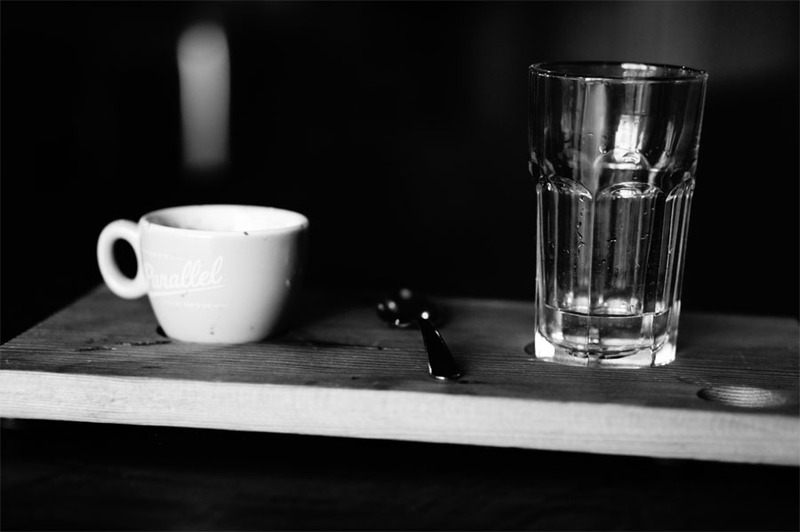 There are some other espresso drinks attributed to the region with the "flat white" and the "long black". 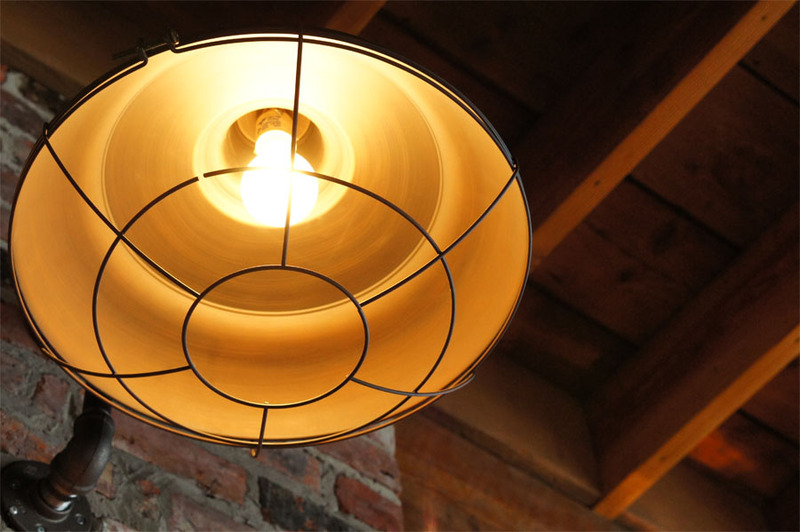 The design of the Main Street cafe was by Vancouver's Hager Design International. 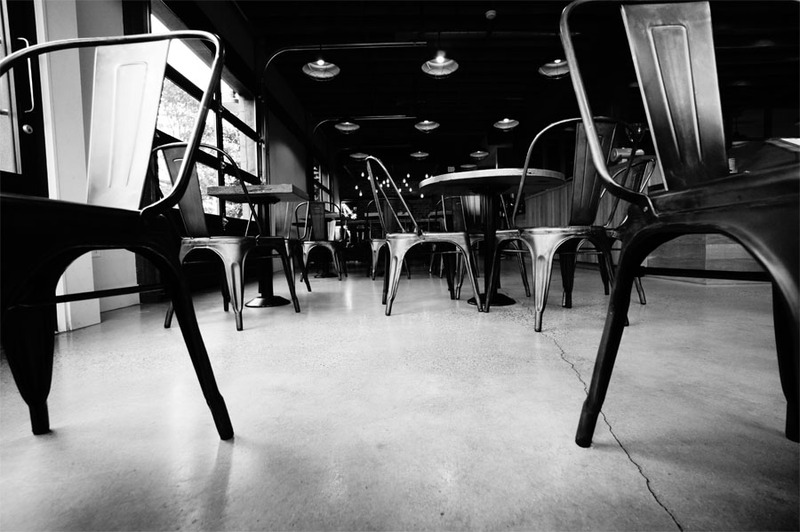 The benches outside and wooden coffee trays used at the cafe were created locally by Vancouver's Union Wood Company that specializes in creating furniture using reclaimed wood. Corner of Main Street and East 13th Avenue. "The new, off-shoot brand from 49th Parallel owner Vince Piccolo is being incubated here in a back corner of the voluminous, 100-seat address, where a crew led by 49th Parallel fixture Colter Jones (one of the best baristas in the world) and pastry chef Dawne Gourley hand-pipe tasty rings galore and stack them behind glass right where customers queue to order." "The space is located at 13th and Main Street and is shaping up quite beautifully. The reclaimed wood and Gastown brick are a departure from the very polished look of the 4th avenue location. Vince has taken the reigns in creating a beautiful cafe, starting with the neon sign that we just put up out front. "